In the Syrian war, Syria was hardly the actual target ever. Syria, as it stands evidently exposed now, was only a battle-field against Iran and Russia, and the target was to end, once and for all, their influence and presence, both economic and military, in the Middle East to leave the region open for Saudi and American expansion further into Asia. ISIS, as is now believed even in the western mainstream media, was created for this very purpose by the US. Russia and Iran knew the contours of this manufactured ‘civil-war’, which is why they both got deeply involved in it, with Iran plunging fairly earlier than Russia, to defeat it, a task now fairly accomplished. Syria is now clearly resurging out of chaotic seven years. The US has decided to withdraw its troops, and the Arab states are already inching towards embracing Syria back to the fold—all of which not only signals the defeat of whole Syria-project, but also the beginning of a new sort of competition among the erstwhile rivals. Only this time, however, it would be a battle that wouldn’t involve proxy groups and arms, but money to regain influence through Syria re-construction. The most important geo-political aftermath of US’ Syria withdrawal is that the Arab states, which were looking to ‘send Assad home’ have now fully realised that the war against Iran and Russia through Syria can no longer be fought militantly. Their proxy militias have already accepted defeat, and US withdrawal signals that the question of forcing an Iranian roll-back can’t be reinforced either by direct or indirect military means; hence, the speedy recovery of ‘lost-ties’ with Syria. That Arab states are simply embracing Syria—and there are even talks of having Syria back in the Arab League by 2019—doesn’t mean the Arab states—UAE, Saudi Arabia—have accepted the new Syrian reality and that they are only adapting; there is more to their good-will than meets the eye. A plan B is being implemented on the hope that countries like UAE and Saudi Arabia have to play a substantive role in the post-war reconstruction efforts as a way to stay in the Syrian game. As the UAE’s minister for foreign affairs Anwar Gargash put it, “the Arab role in Syria is becoming more necessary against the regional Iranian and Turkish [ambitions]” and that “UAE today, through its presence in Damascus, seeks to activate this role.” A few hours after the UAE announcement, Bahrain signalled its intention to reopen its embassy in Damascus, saying that they are “anxious to continue relations” with Syria and want “to strengthen the Arab role and reactivate it to preserve the independence, sovereignty and territorial integrity of Syria and prevent the risk of regional [Turkish and Iranian] interference in its affairs”. There is, therefore, no doubt that the (Sunni) Arab world is readily embracing Syria. For Assad, rapprochement with the countries that had been staunch opponents of his rule isn’t necessarily a negative thing. 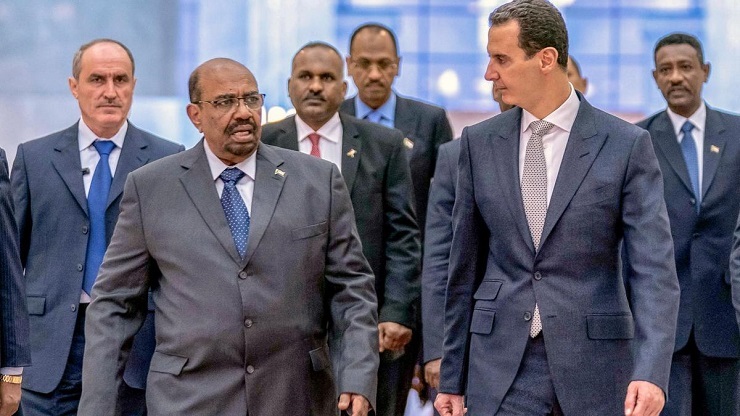 Assad had started talking about rapprochement with the Arab world as early as October 2018, when official steps towards reconciliation were yet to be announced. In an interview given to a Kuwaiti newspaper, Assad talked of ‘major understanding’ with Arab states after years of hostility over the country’s civil war. For him, an Arab role in the country’s reconstruction could be vital and that rapprochement with them would let Syria adapt the changing regional environment. This stance is completely different from what Assad had previously said about rapprochement and accepting funds from Arab countries. He had then argued that the country shouldn’t be rebuilt by those who worked to destroy it. For Iran, however, things aren’t that straightforward. An inflow of Arab capital in Syria would inevitably imply increasing reliance of Syria on these countries, which are overtly seeking to roll-back Iranian influence. But the dilemma for Iran is that, having been hit by massive US sanctions and having already spent billions in the Syrian war, it doesn’t have enough funds to inject into Syrian reconstruction. 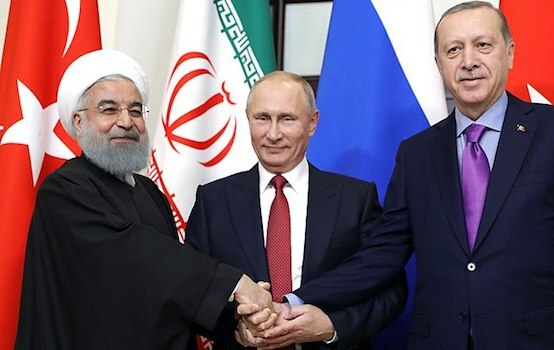 Even the combined financial capacity of the Astana allies (Iran, Turkey and Russia) isn’t enough to meet the required amount of over US$ 250 to US$ 400 billion. But another dilemma for Iran is that even if it wanted to engage positively with Arab states, the Arab states, as the UAE minister’s statement illustrates, are still pursuing their agenda vis-à-vis Iran, albeit through different means. The continuity of this agenda shows that the Arab states are taking potential US withdrawal as an opportunity to expand their power and quickly fill the vacuum. In fact, the fact that both rapprochement and the news of funds for reconstruction coincided with the news of US withdrawal isn’t just a coincidence; it is part of the plan B whereby the US is putting in an Arab constabulary force to make sure Gulf Arabs are part of the post-way Syria and stay in the regional game. For Syria as well as its allies, the challenging question would be of navigating the re-construction dilemma without allowing the Arab states too much say in the political structures of the country. 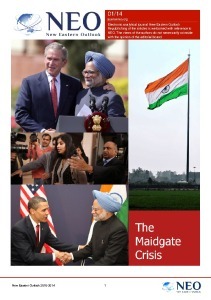 A new geo-political chessboard is thus being drawn in the name of ‘new era of co-operation’. As such, the war might be over in Syria, regional rivalry isn’t even remotely over yet, and that it will continue to inform the geo-politics of re-construction.